Still salad weather here ... having finished up last week's Dijon and French dressings, I decided to try something different. These both turned out really well. Thanks to a comment on another ranch recipe, I decided to go with marjoram instead of dill (which I hate, prehaps, more than anything) in the ranch. I can't say I fully remember what ranch is supposed to taste like but this is really *good*. And the Asain Sesame is terrific. I'd never bought this flavor before but I really like it. I think it's pretty safe to say that, unless I'm travelling, I'll never, ever buy salad dressing again! 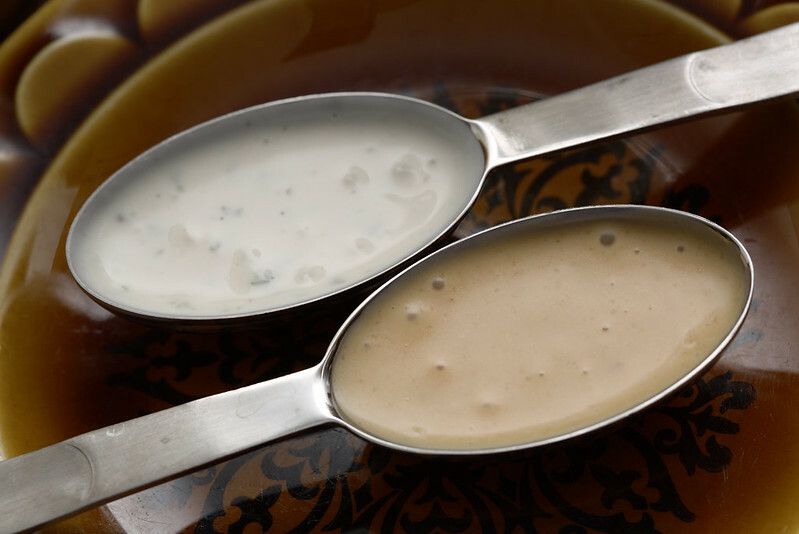 Approximate calorie information: 3.73 calories per gram for the ranch, 75 calories per 20 grams; 4.25 calories per gram for the Asian Sesame; 85 calories per 20 grams. 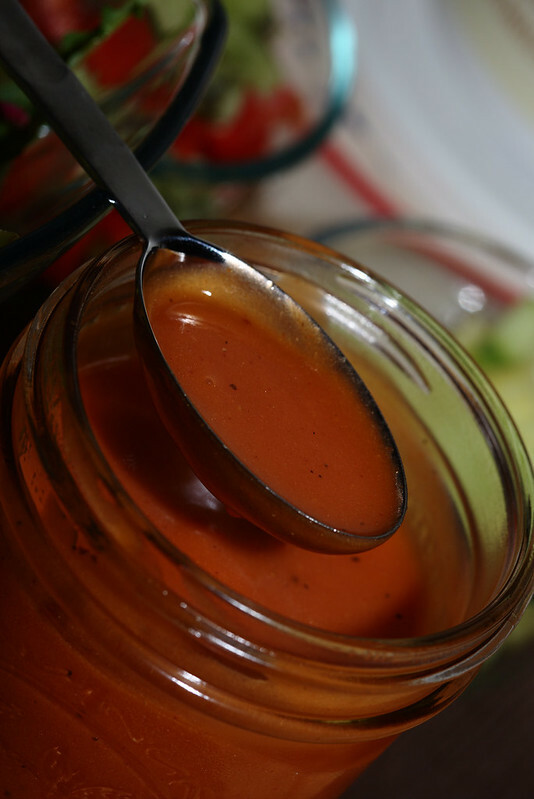 Combine ingredients in a jar suitable for your immersion blender. Summer means salad weather here. Nice not to have to heat up the kitchen, cooking supper. 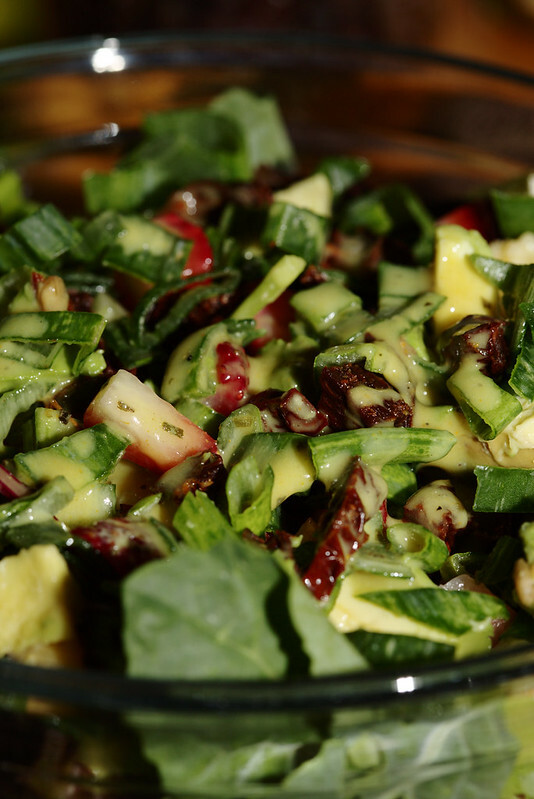 Also salads are a great way to bump up your consumption of leafy greens, which are so incredibly healthy for us. 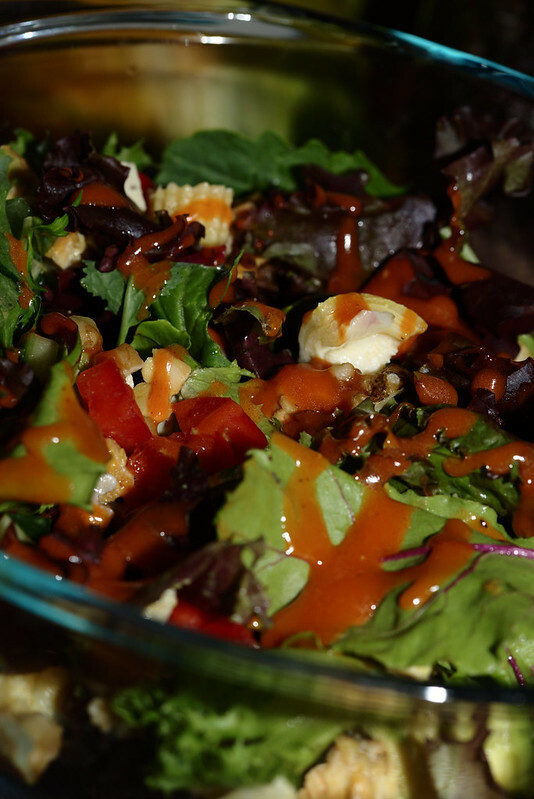 This summer, I found some Organic Ville salad dressings - vegan, gluten-free, tasty. And not exactly cheap. 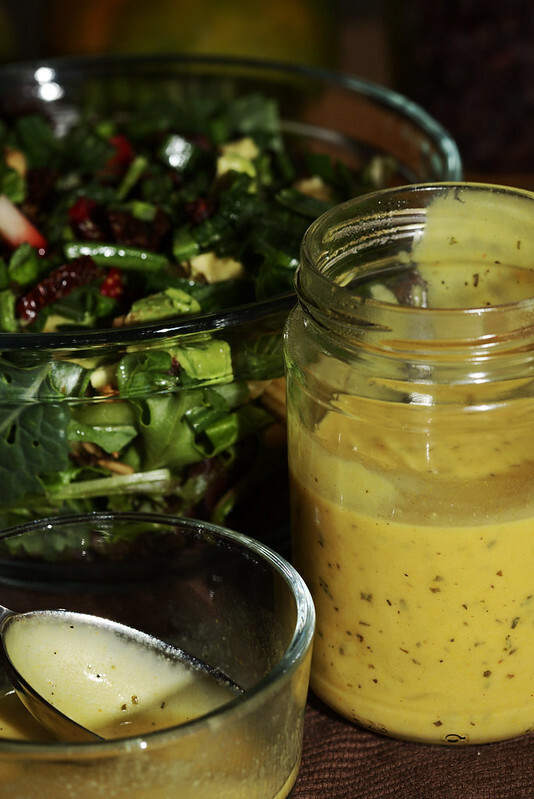 This weekend, I finally decided to have a go at making my own salad dressings. Couldn't be easier or faster. And a lot less expensive than store-bought. As made, by weights, the Dijon has approximately 65 calories per 1.5 tablespoons and the French has approximately 85 calories for the same size serving. Next time I make either, I plan to make them just a touch sweeter and maybe try white vinegar. Adapted from various online recipes and the ingredient listings of the Organic Ville products. Not sure what's up with the unavailabilty of Healthy Top lately. I hope it comes back soon. Combine the dry and wet ingredients. It will seem very wet until fully mixed. Put a small amount of oil on waffle maker. Scoop onto waffle maker. I use a half-cup measuring cup twice to distribute the batter. Cook for three minutes, checking for doneness. If you're making the waffles faster than you're eating them, store them on a plate in an oven set at its lowest temperature. 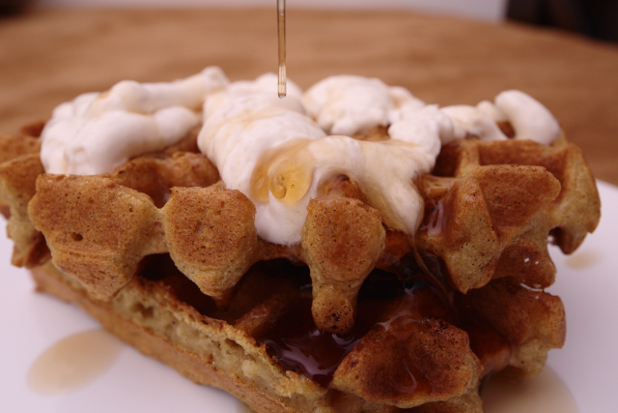 Serve with whipped cream, maple syrup, and anything else you find yummy. Put ingredients in whipped cream dispenser. Mix well. Put top on dispenser and charge. Based on recipe from Baby Cakes Covers The Classics. 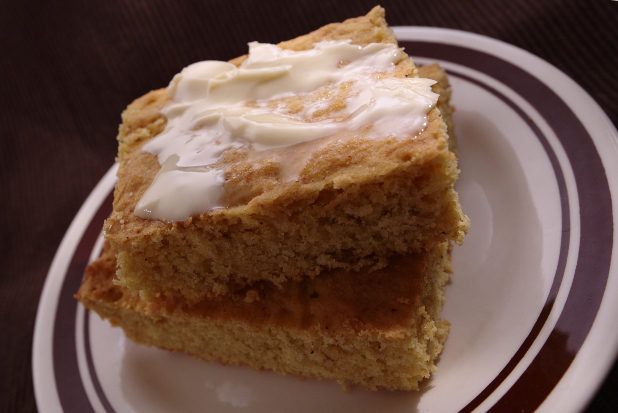 Here our go-to baked cornbread recipe. I usually go ahead and bake a triple-batch, especially if I'm making a huge pot of chili.